Oceanic Flight 815 from Sydney, Australia is mysteriously brought down, crashing on an uncharted island somewhere in the Pacific Ocean. 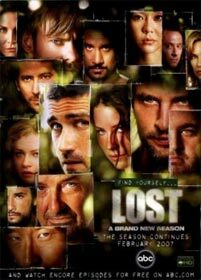 The survivors quickly learn they must band together in order to have any hope of rescue, because the Island is treacherous and holds many secrets. As they are about to learn, the survivors have secrets of their own too. This DVD Boxset contains all the episodes frpm the show's third season.